Here's what it takes to get busted in the U.K. and sent off to jail, try driving 189 mph on the public roads. The police do take exception to that particular occupation and as a result, the motorcyclist in question is now serving 21 months in jail thanks to a judge who didn't quite see it the rider's way. Here’s a habit that a British motorcyclist probably wishes he never took up: filming himself doing idiotic things on the public roads in the U.K. It seems that one Adam Campion, who lives in Hucknall – north of Nottingham – filmed himself racing along the public roadways at the highest speeds, ever reached by a motorcycle, on the public roads. 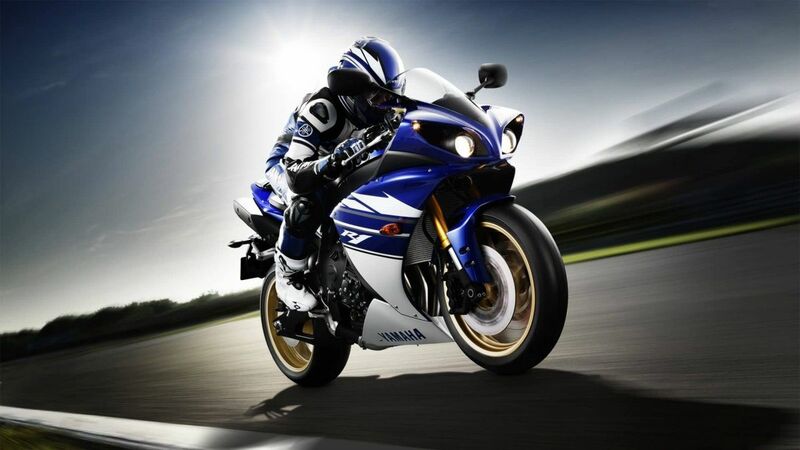 He filmed himself weaving in an out of traffic at 189 mph or 304 kph, the highest speed recorded for a bike. As you can imagine, the authorities took quite a dim view of Campion’s antics. Suffice to say, he ended up before a judge on driving and other charges. He received to 21 months in jail for his efforts by a judge in Nottingham Crown Court. Those efforts included a video of him doing 189 mph (304 kph) on an artery as he weaved in and out of traffic, the highest speed ever hit by a bike on the roads of the U.K. Now why anyone would want to take a video of what is actually a very bad idea is, well, beyond me, but, Campion did. Of course, Campion didn’t make his deeds very public. Indeed, the only reason that police found out about the super-speed run is due to the investigation of a stolen registration plate found in the trunk of an abandoned car. Subsequently, a police investigation turned up a laptop with hundreds of videos dangerous motorcycle rides. On one of the videos, there were images of Campion holding his phone at the speedometer as he recorded his speed, which hit 189. And, other videos showed him buzzing through stoplights and doing wheelies. Meantime, as Campion serves his sentences, police are hard at work trying to identify the other bikers involved in the videos. Campion’s speed is, by far, the highest recorded on roads in the U.K. The previous fastest motorist cause speeding was Tim Brady of Harrow, admitted to driving a Porsche at 172 mph (277 kph), nearly 20 mph slower than Campion.